By Charlotte Cretney.Â Part one in a series of two interviews with mothers who have had a successful VBAC (Vaginal Birth After Caesarian). I dreamed of a natural water birth, what I ended up with was anything but. 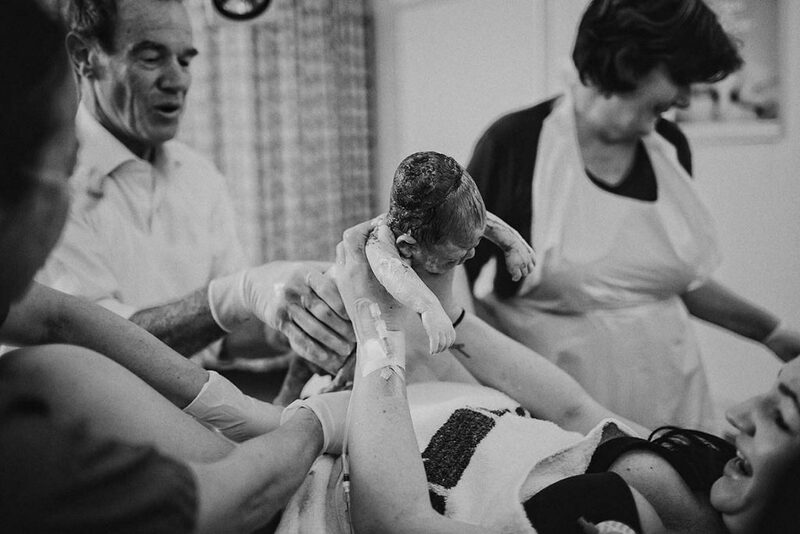 A two-day induction, followed by an emergency C-section. My mum has been a midwife for 35-years, so I felt like I’d lived and breathed childbirth, visiting patients, hearing about placentas and homebirths, since I was a wee babe! So I felt I was so well equipped for everything to be on my side with childbirth, but there is one thing you can’t count on and that is Mother Nature. I felt like a failure following my birth and I do find it hard to shake that feeling even now. I often ponder what I’ll do next time I get pregnant and to be honest I really still don’t know. 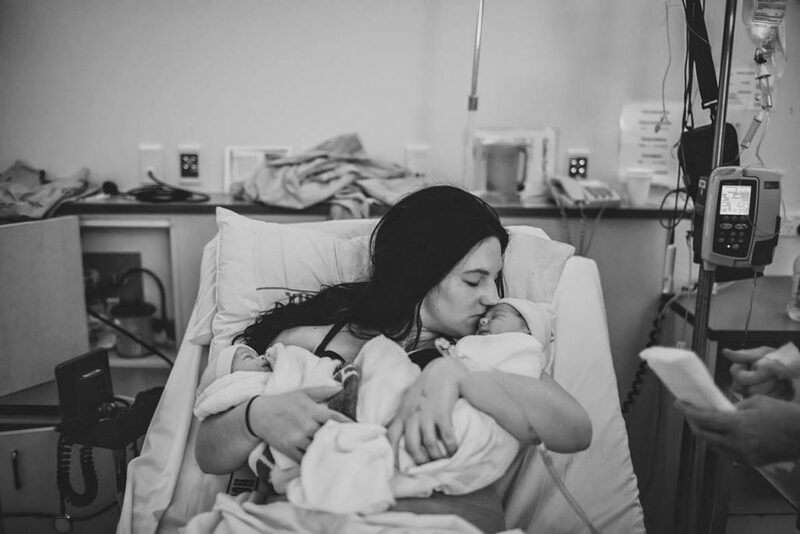 I’m sure people who haven’t been in this position may wonder why you wouldn’t try for a VBAC (Vaginal Birth After Caesarian), but it’s really hard after a traumatic birth to consider going through a trial labour and maybe ending up in another emergency situation. 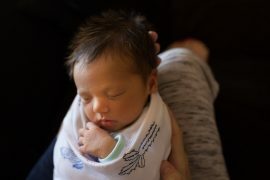 At the end of the day, a happy and healthy baby is the most important thing and my next birth story is still in the making. 7 in 10 (70%) of women who plan a VBAC will achieve this. Following VBAC, the woman will experience a faster recovery time with fewer limitations on caring for herself or her baby, enabling women to have a shorter hospital stay. Breastfeeding is more likely to be initiated in the first hour following a vaginal birth and this is associated with a longer duration of breastfeeding. Evidence is accumulating on the increased risks for the baby of long-term health problems associated with caesarean section. A recent comprehensive retrospective cohort study found that babies born by caesarean section had increased risks of asthma, connective tissue disorders, juvenile arthritis, inflammatory bowel disease, immune deficiencies and leukemia. Carmen Lett is a mummy to four and a Midwife. 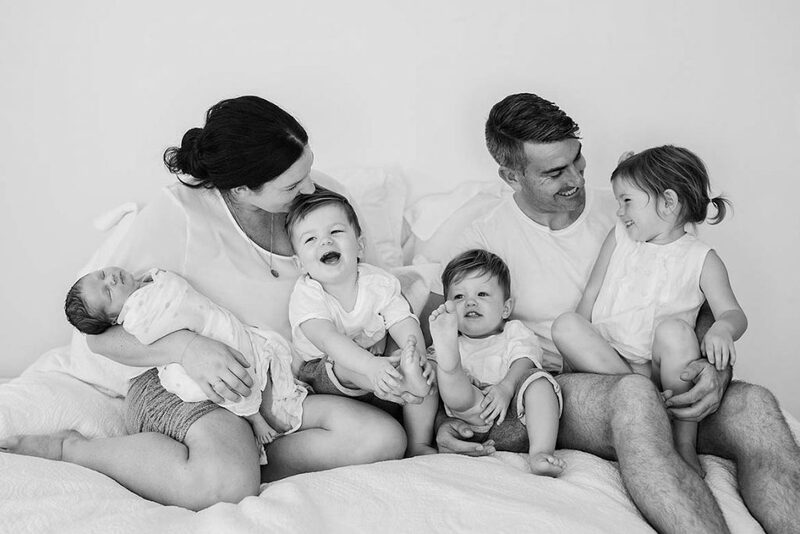 She had a successful VBAC with her twin boys and fourth baby, after an emergency C-section when her first baby Rosie was breech. My husband and I have been married for seven years. Our first child, Rosie (4), was born on our third wedding anniversary. Twin boys (now 2), arrived when Rosie was 19 months old. Our fourth and final baby Taj was born just before the twins second birthday, making it four kiddies under four. Life is busy and chaotic, but I love it and wouldn’t have it any other way. Can you give us a brief rundown of what happened with your first birth that led to needing a C-section and your experience of theÂ C-section? Rosie was in a frank breech position from the 20-week scan. I knew most babies often moved into a head-down position before birth so I always held onto hope that she would turn around. But it wasn’t to be. After weeks of acupuncture, moxibustion, chiropractors, osteopaths, a failed ECV, we were nearing the 40-week mark and needing to make a decision about delivery. I did a lot of research and decided trying for a vaginal breech was the best option for us. I laboured spontaneously but within 12 hours we didn’t progress past 5cms, as she was really high up still, so we needed a C-section. In the back of my mind I always prepared for this option so it didn’t come as a shock. It was a relaxed C-section and I think it was a good experience considering. I knew I’d given myself the best chance at delivering vaginally so felt little disappointment. The recovery after was so much better than I expected. I delivered Rosie at 10pm. I went to Birthcare the next afternoon and went home by the 48-hour mark; I just wanted my bed and normal surroundings. The pain was minimal and I felt back to myself fairly quickly. I was very fit during my whole pregnancy so I think it made a huge difference recovery wise. 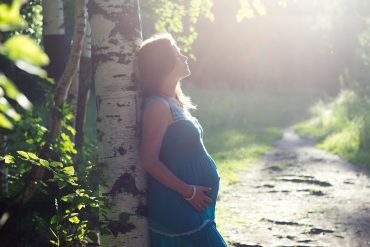 When you found out you were pregnant again, when and how did you decide toÂ try for a VBAC? I knew after my C-section with Rosie that I would want to try for a VBAC next time. Little did I know I would be pregnant within the year, with twins! I did a lot of research when I found out I was pregnant again and with my work knowledge, I knew a trial of labour would be a good option for me. Did you feel your Midwife/Doctor was supportive in the process to go along with a VBAC? The midwife and obstetrician I was under were incredibly supportive with my wanting a VBAC. If they weren’t, I probably would have found someone who was, as it’s crucial to getting a good outcome I believe. What advice could you give mums who are considering a VBAC? I think it’s important to do your own research to be well informed. Know the risks, but also fill your mind with positive stories and outcomes. Know the power of the female body. How we were made to birth. Often there are other factors that come into play, but having a positive frame of mind will go a long way. Using a midwife who is confident with VBACs is helpful. If they are nervous or not well practiced in them, it may lead to an unnecessary C-section. What empowered you to think you could go through with a VBAC? 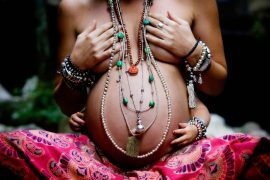 Did you practice anything like yoga or hypnobirth to help? I think due to my knowledge and background being a midwife, I probably knew a bit more than the average person. I had seen so many successful VBACs so I kept those in my mind and loads of positive thinking. I took a lot of pre-partum tonic and herbs with evening primrose oil to increase my chances of my cervix and body being ready for labour. What was your second birth like? 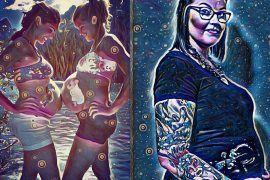 I was induced at 37-and-a-half weeks with the twins, so I was a bit nervous that it might not be the best start for a successful VBAC. But I only needed my waters broken and a small amount of the hormone drip to get me into labour. I was monitored very carefully and had happy babies the entire time. Both babies were cephalic and labour progressed well; I went into hospital at 9am, and both babies were born by 9pm. The first twin was a ventouse as I think my epidural prevented me from pushing as well as I could, and the second twin arrived within half an hour. What did you end up preferring: a C-section or VBAC? I definitely preferred my VBAC – there is something empowering about delivering your baby (or babies in my case), the way nature intended. The recovery as well was a complete walk in the park. But in saying that, my C-section was still a lovely experience and the moment you meet your baby, you couldn’t care less how they arrived. I was in love and I had a healthy baby. That’s all that mattered. What did you find were the advantages and disadvantages of both? The recovery for me was the main thing. Even though I felt well after my C-section, it was still major abdominal surgery that takes time to heal. I found it hard not returning to my usual activities quickly. I found it especially hard those first few hours after my C-section not being able to get up to my own baby and relying on others to help me move so I could feed her, etc. No matter what decision you make, only you know what is best for you and your family. When you have your little one safely in your arms all will be forgotten. Baby on the Way? Make Nesting Easy!